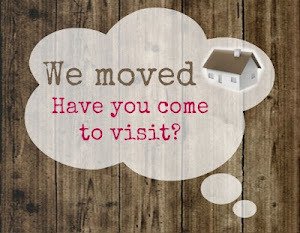 our new blog can be found here. So you might have guessed that lately I've been on a bit of a cookie kick. 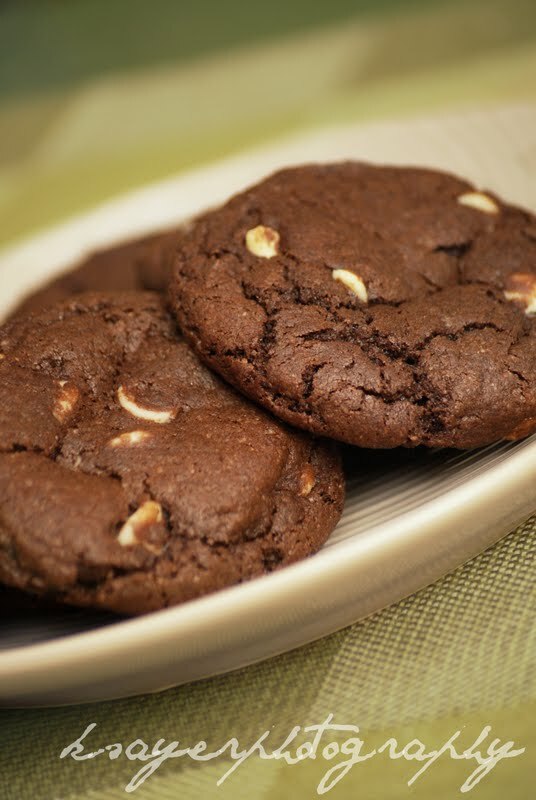 Be it The Ultimate Chocolate Chip Cookie, Peanut Butter Snickers Cookies or even Soft Sugar Cookies. They're portable, adaptable, easy to make andddd I have a family of cookie fiends. so I got to work in the kitchen. But that's where the trouble started. The recipe I had was all sorts of wrong. As I looked down the ingredients list, I realised that it just wasn't going to work. No eggs. No wet ingredients. No raising agents. So what did I do? Improvise! I figured in the last couple of months I've made enough cookies to at least try to bake completely on instinct. So I crossed my fingers and went to work. Once the cookies were in the oven I spent the next fifteen minutes looking from my computer screen to the oven - hoping and praying they didn't turn into a tray of cookie lava or be a complete fail. Thankfully they didn't do either - I had soft and chewy Double Chocolate Chip cookies that smelt amazing. I also wrote down what I did so I could share the recipe with you if it was a success! 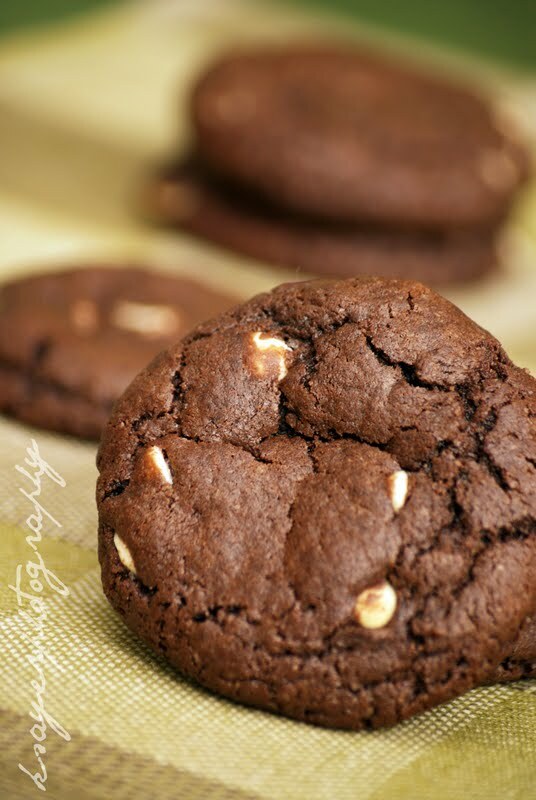 These cookies have soft centres with chewy edges and are probably the love child of a cookie and a brownie. 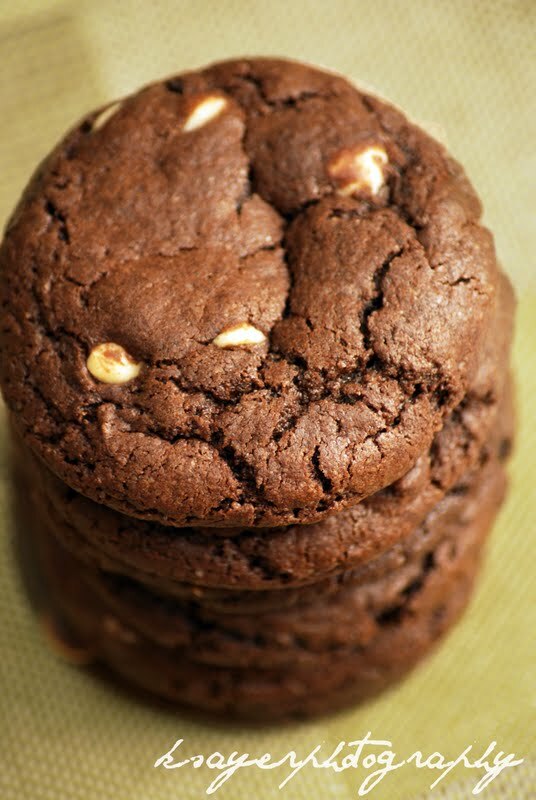 If you love the chocolatey flavour of brownies but just can't go past the old faithful cookie - these are for you. Cream butter and sugar until light and fluffy, add egg and vanilla and mix until incorporated. Add flour, raising agents, cocoa and salt and mix until combined. Slowly add in milk (while mixing) until a soft dough forms. Mix in chocolate chips until evenly dispersed throughout the dough. Cover bowl and leave to chill in the fridge for at least fifteen minutes - or until firm and workable. Roll heaping tablespoons of dough into balls and place on lined cookie sheets 2-3" apart. Bake for 15-20 minutes until edges are cooked. Leave to cool completely on trays. - If you want a really chocolatey cookie, switch the white chocolate chips for milk or dark. - For a crispier, crunchier cookie, bake for 20-25 minutes. - The cookies will firm up once they cool, so don't worry if the middles seem soft. 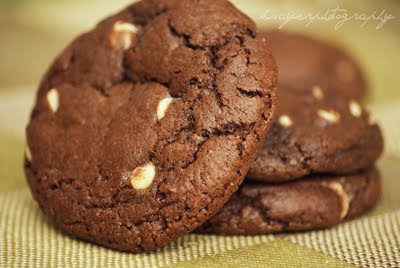 - Try adding dried fruit/nuts/more chocolate chips to make your ultimate cookie. - Don't try working with the dough before you chill it, you'll end up with a huge mess. - The dough freezes extremely well, so why not make extras and pop them in the freezer for when the cookie monster hits! Are you a chocolate or a vanilla kind of person?! I love chocolate straight up, on it's own. Or anything sweet or a piece of chocolate, really. Love this recipe? 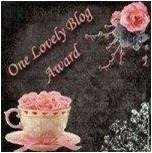 Be sure to check out my new blog - Southern In-Law! Haha, having the laptop in the kitchen seems to be my way of baking lately! We have an open kitchen so my computer is on the bench in the middle of all the action :P I hate being locked away from everyone else while I work! 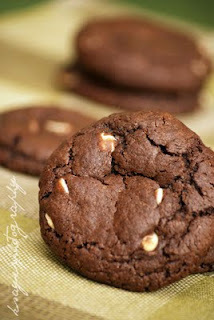 If you're a chocolate person you should DEFINITELY try these cookies! Caramel, that's a flavour I always forget! Maybe I need to make something with caramel in it, hm. Sighh, mine didn't come out like that :( what am I doing wrong? - What butter did you use? - Your altitude (altitude can really effect baking times/results). Did you change any of the ingredients? I just made these tonight and they were spot on - just like Subway :-) thank you!!!! Hi! Tried the recipe twice, and tomorrow will be my 3rd attempt. 2nd try, looking good, and i froze some of the batter. And found that last batch (being frozen longer) are much better in texture. But i really need you to teach how to get the shape to maintain and not being flat as mine will become flat/nearly flat at the edges. It's not giving the required thickness -_-"
Do you soften the butter? Most cookie recipes you do, but this one doesnt say. Maybe because the batter gets chilled. Not sure. These cookies are great! I'd definitely will be baking these again, but what I did that was different is that I put maraschino cherries on top before baking them to go with the theme of Valentine's day ... An it made this cookie recipe even better aesthetically and taste wise. Hi I made these cookies today they were good, but my friends were saying there is a after taste of baking soda.Maybe next time i'll half the quantity of baking powder and baking soda. How much is 125g butter? 1/4 cup; 1/2 cup; I'm from the old school, so never have run across a recipe that called for 125g butter! 1 stick of butter has 113 grams in it. that is about 14 grams per tablespoon. so I'm going to use 1 stick plus 1 tablespoon of butter and hope it works.